We begin with a body. Andrew Crowther, a wealthy retired manufacturer, is found dead in his seat on the 12.30 flight from Croydon to Paris. Rather less orthodox is the ensuing flashback in which we live with the killer at every stage, from the first thoughts of murder to the strains and stresses of living with its execution. Seen from the criminal's perspective, a mild-mannered Inspector by the name of French is simply another character who needs to be dealt with. This is an unconventional yet gripping story of intrigue, betrayal, obsession, justification and self-delusion. And will the killer get away with it? 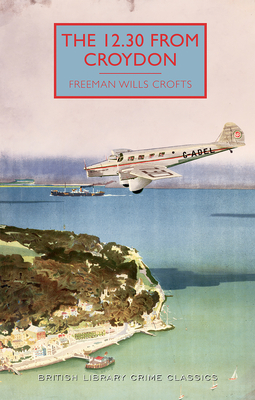 FREEMAN WILLS CROFTS (1879-1957) was one of the pre-eminent writers in the golden age of British crime fiction. He was the author of more than thirty detective novels, and was greatly acclaimed by peers such as Agatha Christie and Raymond Chandler.